The new DNB Chapter Story to be aired on DNB Stories is The Lost Moon Piece. 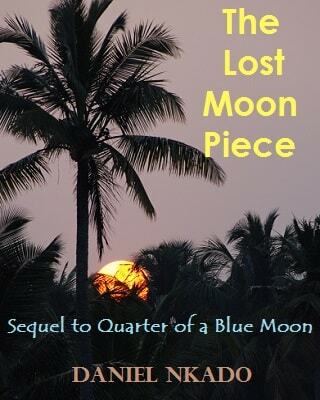 The Lost Moon Piece is the sequel to the just completed Quarter of a Blue Moon. You can read Quarter of a Blue Moon HERE. The Lost Moon Piece will be started on DNB Stories soon. Like our Facebook Page to always get recent updates. Visit DNB Store to see how to get eBooks of all past stories and series. Beautiful cover. But DNB we didn't finish the story na. Not fair.